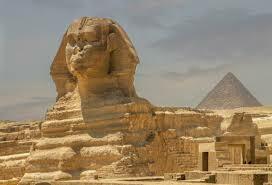 Cairo, Luxor, Abydos, and Alexandria- these exciting and vibrant cities await you on this thrilling guided Egypt tour. 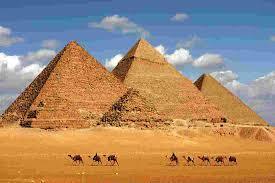 Guided sightseeing tours will highlight the must-see attractions in each city, including Giza pyramid complex (the oldest of the Seven Wonders of the Ancient World, and the only one to remain largely intact), Karnak Temple Complex (a vast mix of decayed temples, chapels, pylons, and other buildings in Egypt), Valley of the Kings ( the Great Necropolis of Millions of Years of Pharaoh), Abydos (the oldest cities of ancient Egypt), Alexandria ( Alexandria was founded 332 BC by Alexander the Great) and much. Prepare yourself for tales of royalty. 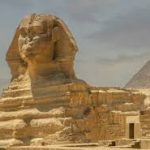 Guided sightseeing includes visits to Giza pyramid complex and the Great Sphinx (Start your tour by the Great Pyramid of Cheops (2551-2528 BC), is built of an estimated 2.5 million blocks, rising to 137m. 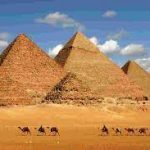 Then move to Panorama area, enjoy fabulous photos for the three Pyramids, next move to the Sphinx, visit the Valley Temple)- drive to Saqqarra to visit the Step Pyramid at Saqqara, (the world’s first building in stone, Saqqara, there can be few archaeological sites in all the world, let alone Egypt, to compare with Saqqara)- Lunch at local restaurant in Cairo, continue your Cairo tour by visiting Memphis,( Egyptian Mennefer, was the royal residence and capital of Egypt during the early dynastic period and Old Kingdom and a city of major importance throughout the rest of its history, the ruins of the ancient capital of Memphis today lie around the modern village of Mit Rahina). 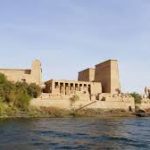 Our tour guide will pick you up from your hotel in Luxor to visit Abydos Temple, ( The site was the most important religious center of the ruler of the dead. Because of its association with the afterlife, many Egyptian kings constructed cenotaphs at Abydos, including the great New Kingdom cenotaph temple of Seti l Begun by Seti l and completed by Ramesses ll , This temple was built of fine white limestone and is one of the most impressive religious structures in Egypt) Then continue to Dandara, (the area in which the temple is located, Is that of ancient Tantere, Greek Tentyris, a provincial capital and important religious site during several period of Egyptian history. Your trip to Egypt ends with breakfast this morning. you will transferre to Cairo international airport for departure| Meals: Breakfast. 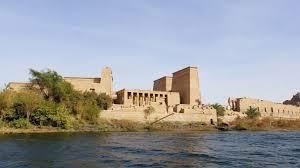 Tour Package Itinerary may change in sequence but not in visits, Journey To Egypt NOT liable for these changes. Per Person in Double Room 1215 $. Per Person in Double Room 1300 $.